GQ’s most impressive Syngenta exhibition yet! For the sixth year running, GQ has designed and managed Syngenta’s exhibition stand and promotional materials for the International Seed Federation World Seed Congress, the main annual event for the industry, with over 1,000 professionals attending and the biggest names in the industry exhibiting. 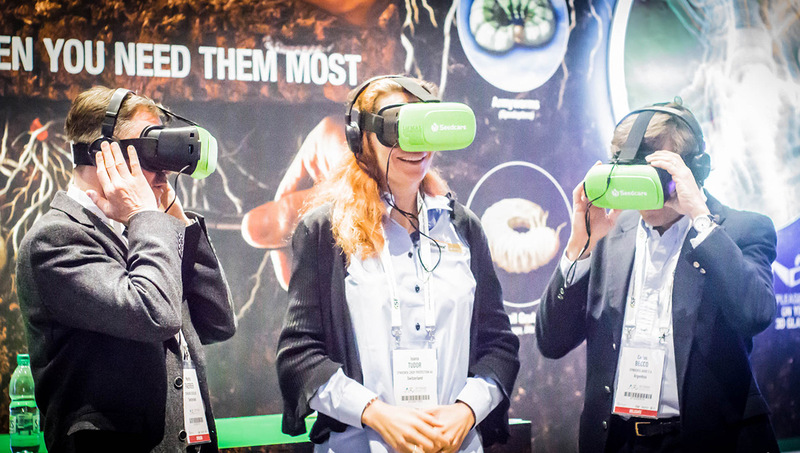 The unique ‘multidimensional’ concept made for a dramatic exhibition space, using 3D and virtual reality imagery and video to convey the science under the soil in a fun, interactive experience room. It certainly made an impact with the client receiving feedback that it was the best stand of the entire conference!